It seems we’ll get a brief reprieve from winter over the next two days. Mind you, we’ll have to put up with a lake of freezing rain in the meantime. A perfect time to stay indoors with a good book. I’ve spoken briefly before about my book addiction. Two books, however, I can proudly tout because I bought them second hand – and, therefore, am both reading and recycling. These are books to keep your eyes sharp for on the shelves of your local Village des Valeurs or Goodwill (where I got mine). 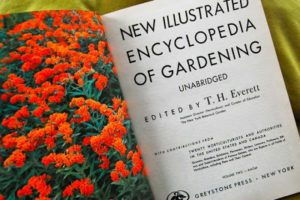 The first can’t truthfully be called a book: The New Illustrated Encyclopedia of Gardening. It’s thirteen volumes (fourteen, with index). I picked it up for $1 a volume a few years ago at a thrift shop. They’ve wised up since then. A little later, I spotted another set and bought it for my sister. The price had risen by 50% to $1.50 per. This is a very comprehensive reference of over 2,000 pages with articles on all areas of gardening, indoors and out. 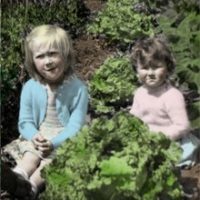 Canadian input means that it’s not only about gardening in Zone 7. Snap it up if you ever come across it at a yard sale – which was the advice Keith Squires once gave in a gardening class I took. And did. 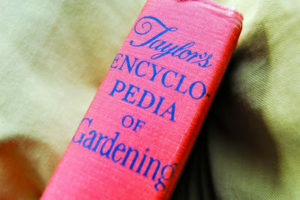 The other book is a handy, one-volume reference: Taylor’s Encyclopedia of Gardening. I assume this by the same name behind the contemporary Taylor’s Guides on individual subjects such as Roses. It seems to be. But the Taylor in question is not a publishing house, but Norman Taylor, a botanist famous in the early part of the past century. My Taylor’s is a 1948 second edition of the 1936 book, written in the days when fairly natural gardening techniques were generally the rule. 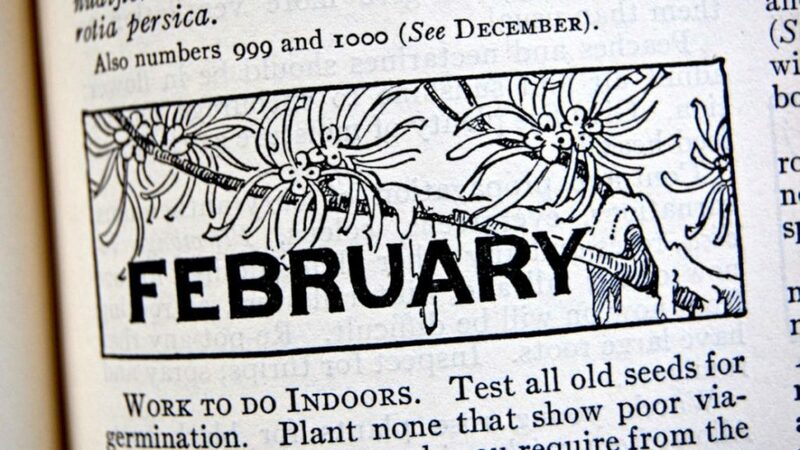 I love it, not the least reason of which is for its charming illustrations, one of which heads this column. Another neat feature is its plant lists, such as those for an all-blue garden, for instance. 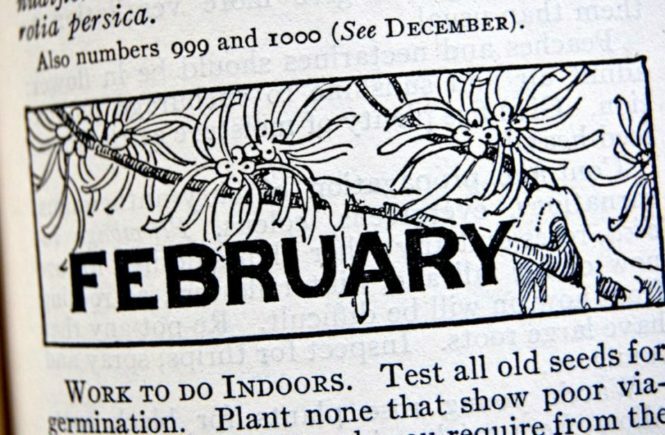 That’s a case of the February blues I wouldn’t mind having. I’m sure you wouldn’t mind having it, too.